A Derbyshire victim of carbon monoxide poisoning reconnected his condemned boiler because his house was too cold. 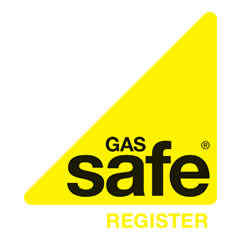 Stephen Newton, 52, of Stanley Common, Derbyshire, had been informed in May 2008 by an E.ON employee that his boiler was ‘immediately dangerous’ and it was therefore disconnected. Mr Newton told his partner, Susan Davies, that he would ‘sort it out’ but the boiler was not repaired or replaced despite Mr Newton’s landlady being informed. In October 2009, some 17 months later after the visit by the E.ON employee, Mr Newton reconnected the condemned boiler himself as the weather grew colder and in response to the gas fire ceasing to operate. “I just tried to make him see that it needed checking out properly,” said Mrs Davies at an inquest. She added that over the next two months she had repeatedly felt unwell while inside the house, suffering from dizziness, light-headedness and deafness in one ear. “I just put it down to the cold weather and winter illnesses,” she said. On December 28th 2009, the couple had gone for a walk but upon returning to the terraced house they rented together, Mrs Davies went into the kitchen and dropped on to the floor. Although she felt really calm, she could not get up. “That’s the last thing I can remember,” she added. The following day, two friends called round, concerned that they could not contact Mr Newton. Gregory Longdon and Stephen Havill became even more concerned when no-one answered the door, so they peered through the kitchen window and saw the couple sitting in the living room. When they still failed to respond, the two friends entered the house through the unlocked front door. “We found Steve and Sue there on the settee,” said Mr Longdon. They called an ambulance but Mr Newton was already dead. “I felt for a pulse and as soon as I got hold of Steve’s hand, it was very, very cold,” said Mr Havill. Mrs Davies was kept alive by paramedics and taken into intensive care at the Royal Derby Hospital. She remained there for three days before making a full recovery. The inquest into Mr Newton’s death ruled that the landlady, Dr Victoria Martindale, should have arranged an annual check on the boiler carried out by a registered engineer. Coroner Dr Robert Hunter also said that she should have issued an annual safety notice. Mrs Davies told the inquest that she believed Dr Martindale had not done either of these things. The coroner asked Dr Martindale whether she was aware that as part of the tenancy agreement she was obliged to arrange an annual safety check. A post-mortem examination found the carbon monoxide levels in Mr Newton’s body had reached 61% with a 50% level being lethal.